With the launch of AppleCare+, Apple is getting a little stricter with how it replaces iPhones. According to an Apple Store employee speaking with MacRumors, previously if you broke your iPhone, Apple Store employees had the option to replace the handset for free, waiving the $199 replacement fee. Now, in order to qualify for a free replacement you'll have to have AppleCare+, which is only available at the time you purchase your new phone (previously you had until the original warranty ran out to buy in to the service). Since some customers were unable to buy AppleCare+ when they pre-ordered the phone, the first time you have an issue with your iPhone 4S you may potentially be given the option to buy AppleCare+ then. "Under the program, customers needing to replace a damaged iPhone would be given a $50 discount on Apple's standard $199 replacement fee if they also purchase AppleCare+ for the replacement device, for a total cost of $249." AppleCare+ is a $99 purchase, but will replace your iPhone for any reason (including mishandling) twice for $50 each time. 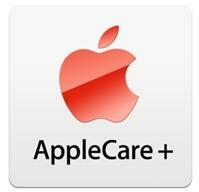 Did any of you purchase AppleCare+ along with your iPhone 4S?